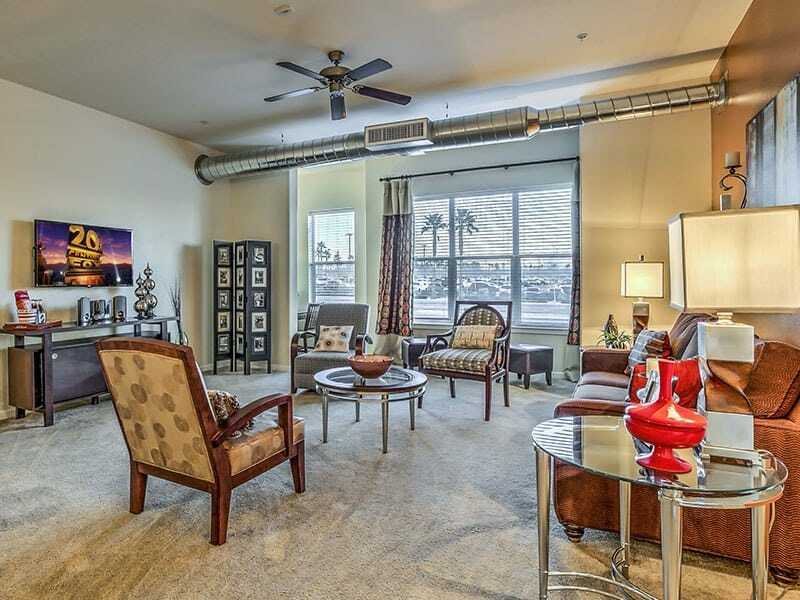 If you’ve been searching for a new quality of luxury Las Vegas living, your search ends with Lofts at 7100. 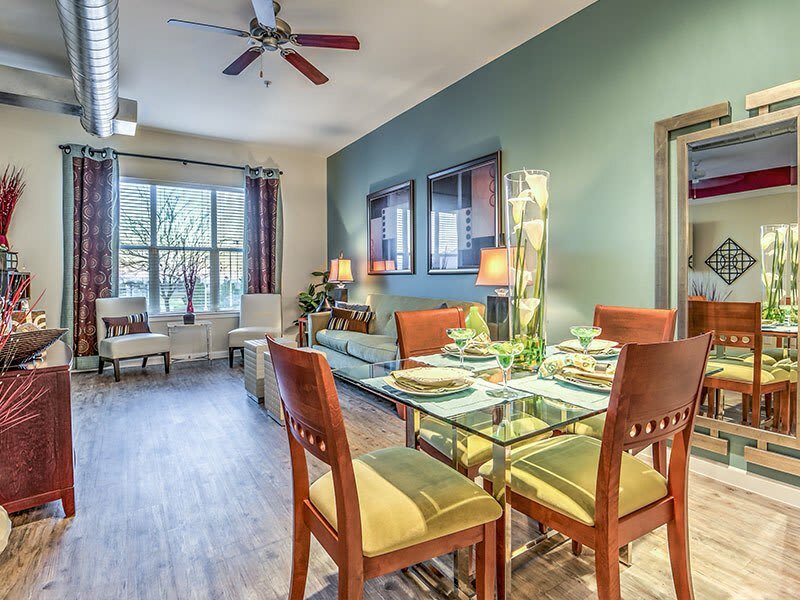 A unique and inspired community of spacious one and two bedroom apartment homes, our pet-friendly community in the Centennial neighborhood of Las Vegas, NV, has everything you need to upgrade your daily life. 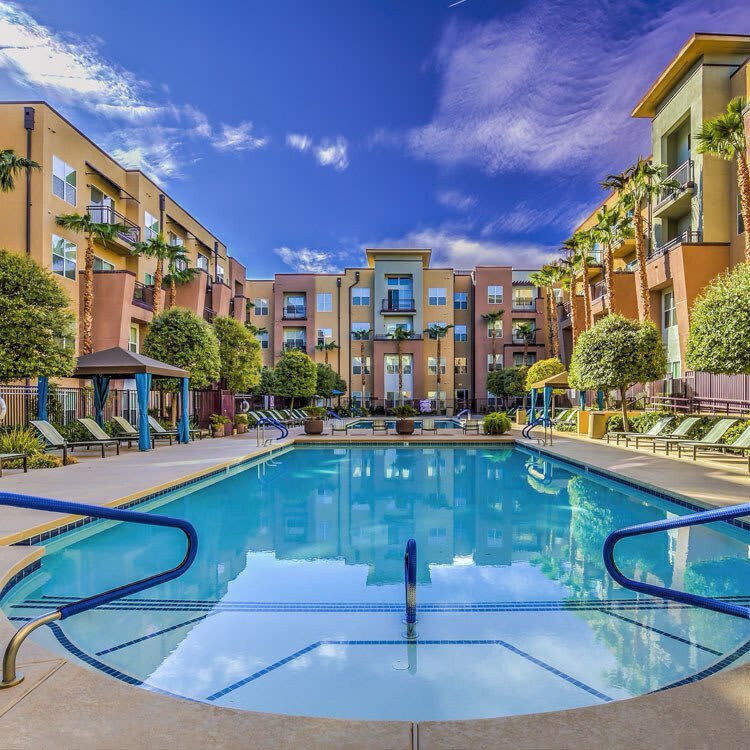 Our loft-style homes were designed to fit your modern lifestyle, offering you the comfort and convenience you deserve, with the Centennial Hills Park and Ride across the street for quick access to downtown or easy daily commuting. Ideally located near US-95 and I-215. 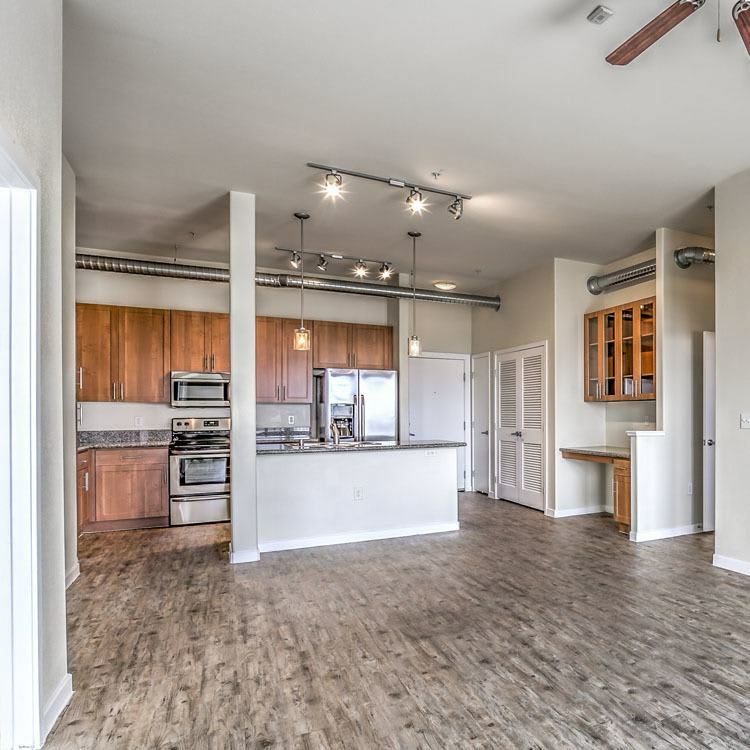 When you live at Lofts at 7100, you can walk across the street for shopping and dining at the Centennial Center and easily head outdoors, whether you’re going for a stroll around Mountain Ridge Park or making the quick drive to Floyd Lamb Park to really stretch your legs. Discover luxury Las Vegas living. 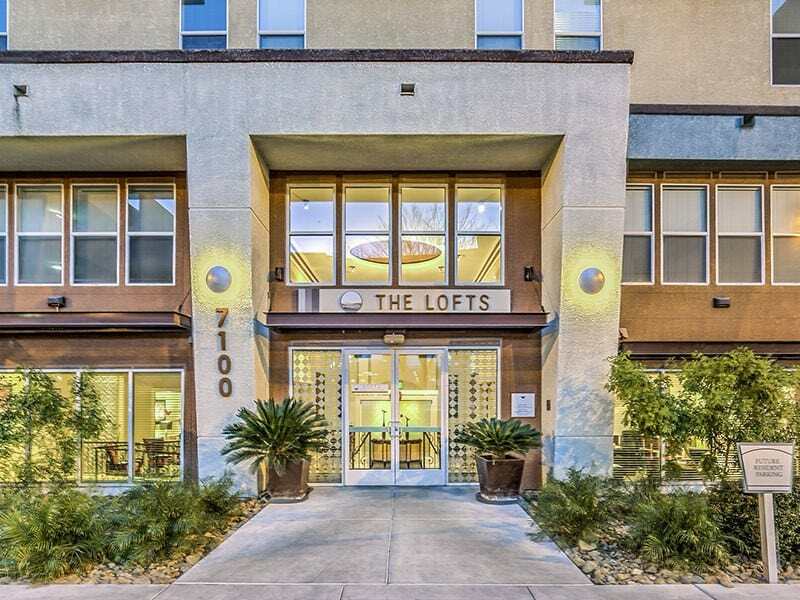 Lofts at 7100 truly offers you the best of Las Vegas. With views of both the city lights and the surrounding mountain ranges, you’ll have the best of both worlds right at home. 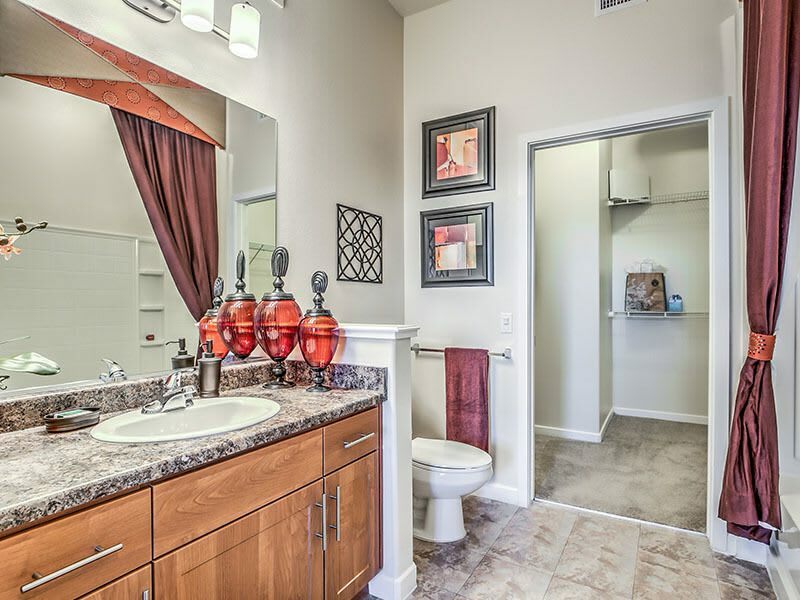 But stunning views aren’t the only luxury you’ll find in your new apartment. 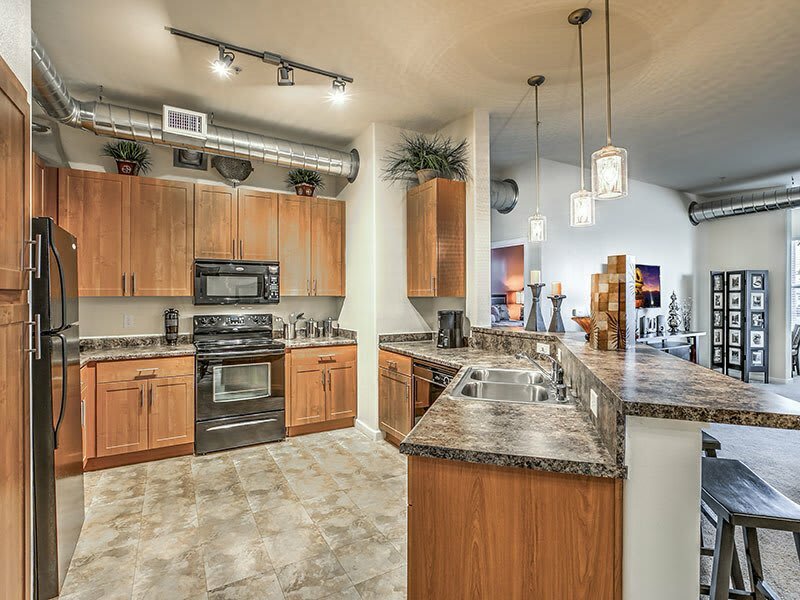 All our one and two bedroom loft-style homes feature designer finishes to elevate your everyday living. Experience luxurious touches in your new home, like stainless-steel appliances, granite countertops, and vinyl plank flooring. 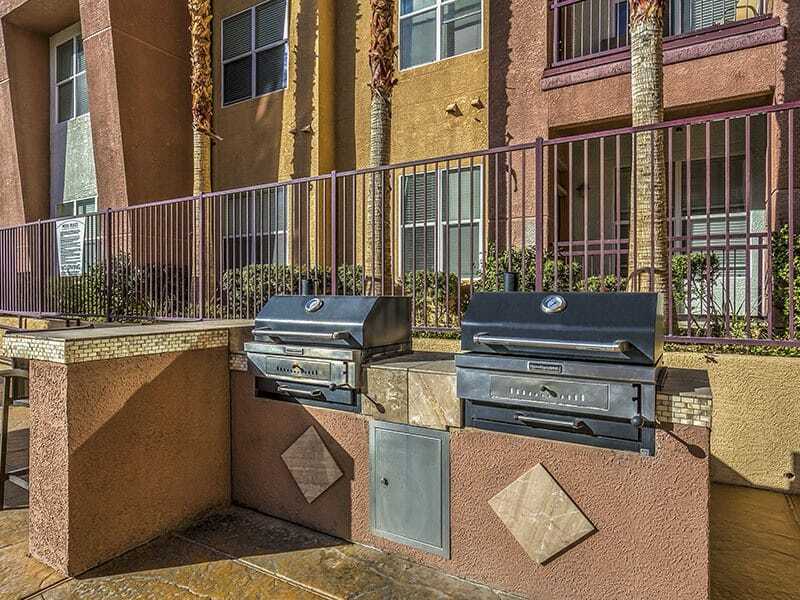 Enjoy the convenience of a full-size, in-home washer and dryer and a side-by-side stainless-steel refrigerator. 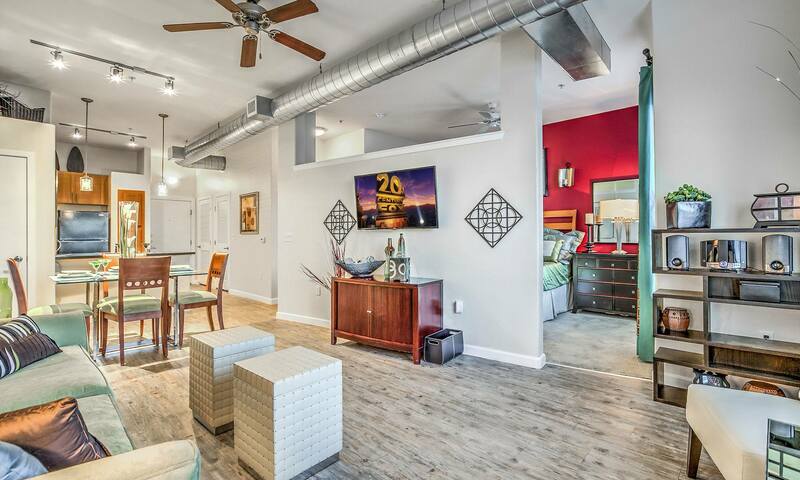 Take advantage of our expansive floor plans, complete with spacious closets, spacious oak-like cabinets, and a private patio or balcony. 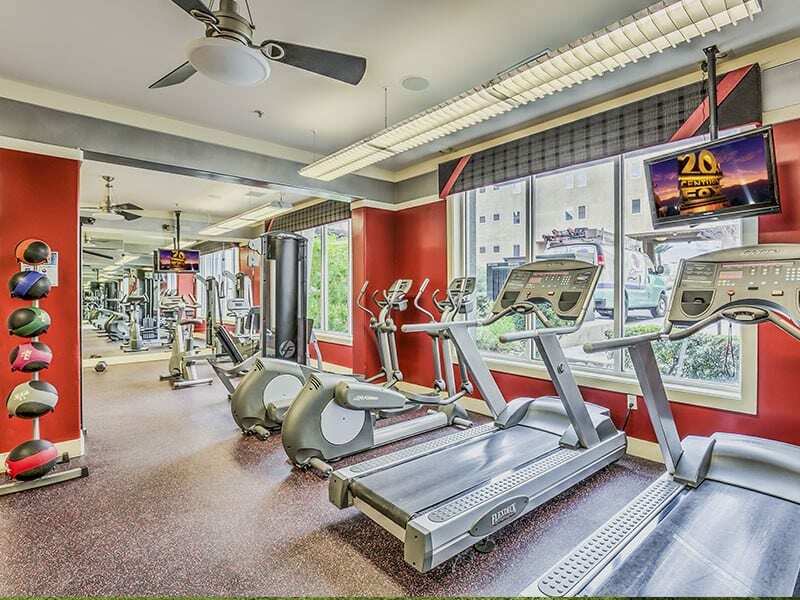 Life at Lofts at 7100 means access to our resort-style amenities, including our sparkling pool with spa, 24-hour fitness center with virtual trainer, coffee lounge, clubhouse with WiFi, and entertainment. 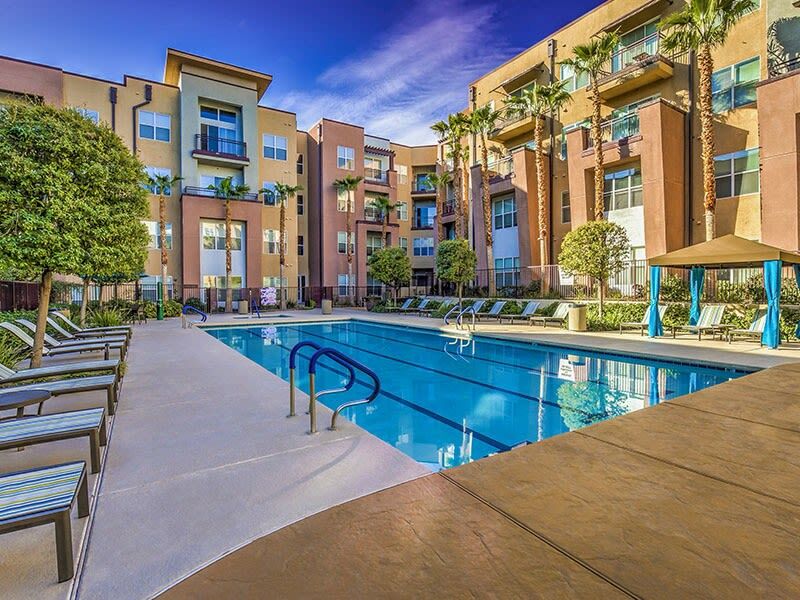 You’ll also enjoy plenty of garage parking, an electronic gated community entrance, and the ease of online rental payments. 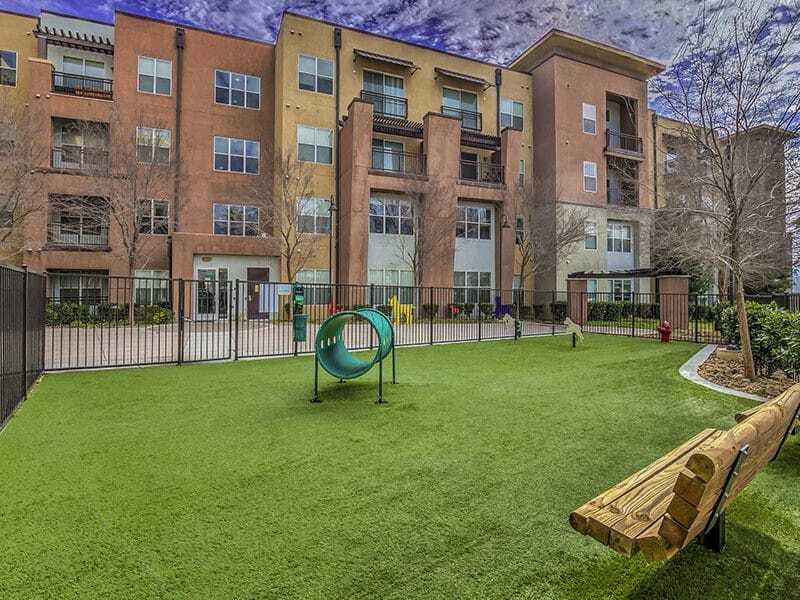 We know your pets belong at your side, and we welcome them at Lofts at 7100. 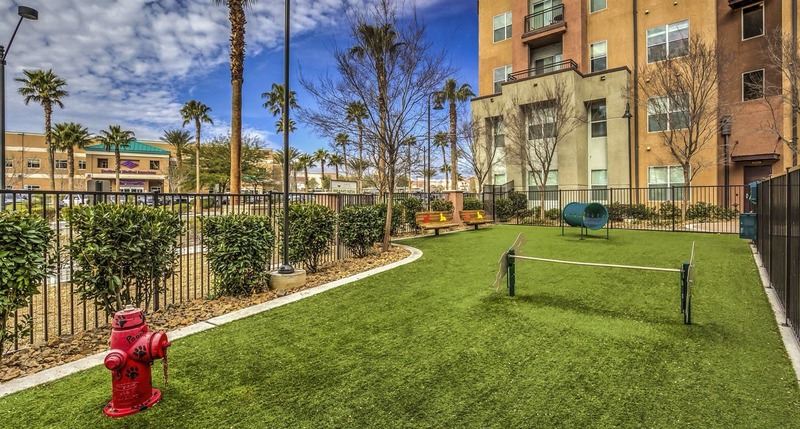 Our pet-friendly community includes an on-site dog park for letting the pups run. 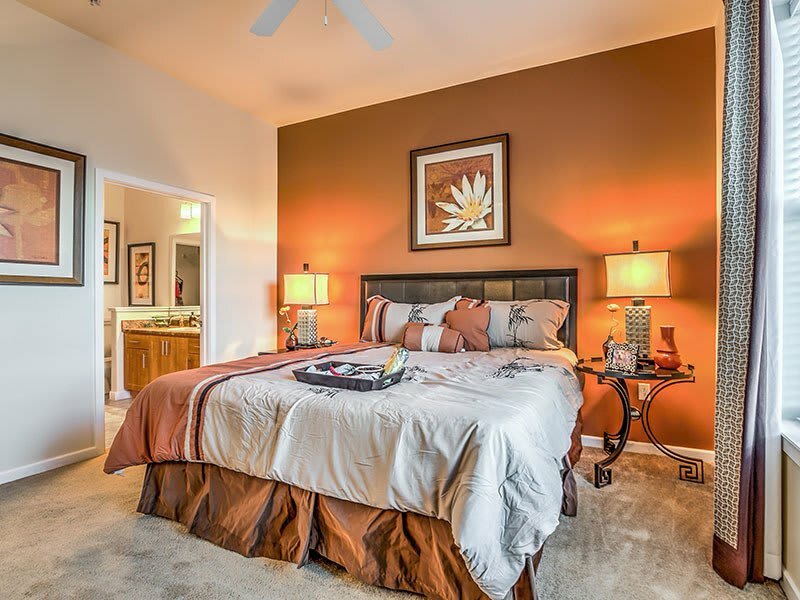 You’ll have plenty of space for longer walks at Mountain Ridge Park which backs up to your new home. When the dogs need even more room, the 2,000 acres of Floyd Lamb Park is just a few minutes away. Discover luxury Las Vegas living. Call us today for a tour.